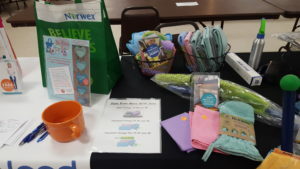 Welcome back to Kay Hillesheim the representative for Norwex cleaning and personal care products. 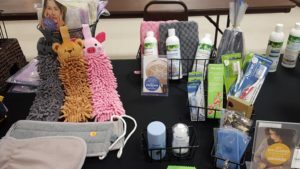 She provides a wide variety of products, including but not limited to, microfiber, detergents, enzymes, silicone brushes, stainless steel straws, lotions, and essential oils. Kay has been a vendor at Downtown Oronoco Gold Rush Days for multiple years and she will be delighted to answer any of your questions. Kay can be found on MN Avenue right across from the Post Office. Each year I get to see old freinds and make new ones. I hope you will be one of my new acquaintances when you come this August 17, 18 or 19th. There are new products every year. Posted in Marketing. 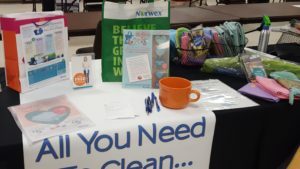 Tags: cleanwithkay, Downtown Orocono Gold Rush Event on May 2, 2018 by Patsy Matts. Boyd and Judy Hagenson, veteran vendors of Downtown Oronoco Gold Rush Days have confirmed that they will be attending this year’s event. As always you can find them nestled in by the pine trees in the G lot. This year in addition to bringing toys, primitives, figurines, and maps, they will also be bringing kitchen collectibles. Perfect items if you are wanting to add a touch of vintage to your own kitchen. Posted in family fun, Informational. 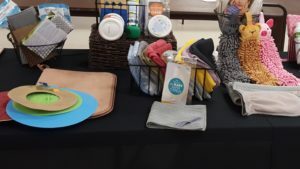 Tags: antiques, Downtown Orocono Gold Rush Event on April 27, 2018 by Patsy Matts. As we move into the 2018 Downtown Oronoco Gold Rush Event, we have been making some changes to the Website. You might see less of our favorite characters Bill, the miner, Clare the brains behind the hunt, and Jack the burro who carries the treasures. We would be amiss is we didn't acknowledge our gratitude to the artist who has given so much of his time to creating these for us. 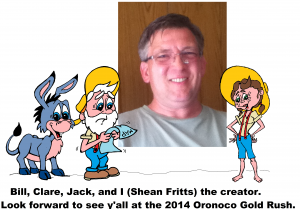 Shean Fritts is not only has been the artist who created these characters but he has also served as a volunteer on the Downtown Oronoco Gold Rush Committee. Sean has put even more hours into helping to get the Downtown Oronoco Gold Rush Event Days into fruition. Many do not know all the work it takes to put this event on. All the Committee members attend the once a month meeting for a year to discuss all the work that needs to be done. As different needs come up the individual members each help carry the load to get the tasks done. As August draws near the pace picks up and more needs arise. The committee members will be seen at the National Night Out either cooking burgers and hot dogs or helping the city staff to serve the food to our attendees. 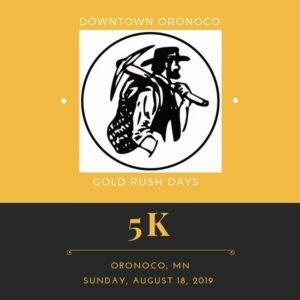 There is also a committee member or two manning a table looking for more volunteers who might want to help at the Downtown Oronoco Gold Rush Event. Well Shean is not serving on the 2018 Downtown Oronoco Gold Rush Committee and he will be missed. But we can't let him leave without saying thank you. When you come to the 2018 Downtown Oronoco Gold Rush Event, stop by the information booth and you will still find Shean's work. A favorite of many who come is to poke their heads into the holes above Bill or Claire so they can take a photo to remember each years visit to Oronoco. Posted in Entertainment, family fun, Informational, Volunteers. Tags: Downtown Orocono Gold Rush Event, national night out, Oronoco Gold Rush on April 4, 2018 by Patsy Matts.